Taylor had a fine 11-year career, running for 11,695 yards with seven 1,000-yard seasons. For a long time, he was known as the best player never to make a Pro Bowl, but he finally got the Hawaii trip in 2007, his last thousand-yard campaign. He finishes his career at No. 15 on the all-time rushing list, which is quite an accomplishment, and he has a strong 4.6 yards per carry average in his career. He’s not a Hall of Famer, but he is probably the best Jaguar ever. That’s saying something. Let’s play relativity. 10 points will be an automatic yes vote, 1 point is someone who should not be a finalist again. 10 – Deion Sanders – Sanders wasn’t the most complete corner ever, but he may have been the best cover man of his or any era. Combine that with his electric returning ability, and you have a no-doubt Hall of Famer. Sanders’ career was a bit strange because he played both in the NFL and in Major League Baseball, and because of his prodigous ego and love of the spotlight he bounced around quite a bit. But there was plenty of substance beneath the flash. The accolades are there – a member of the all-1990s team, eight Pro Bowl appearances and six All-Pro nods, and two Super Bowl rings – but the fact that Sanders at his apex was the scariest player on the field is enough for us. Some voters might be put off by Sanders’ bombastic nature or his unwillingness to tackle, but even those issues won’t be enough to keep Sanders out of the Hall of Fame on the first ballot. 9 – Marshall Faulk – Of the three running backs on the ballot for the first time this year, we believe Faulk is the clear-cut leader of the group for first-year enshrinement. Faulk was the ideal running back for the Greatest Show on Turf in St. Louis because he was just as deadly catching the ball out of the backfield as he was running the ball. He won league MVP honors in both 2000 and 2001 and was part of two Rams Super Bowl teams. And that St. Louis dominance came after an incredibly productive five-year stint with the Colts. Faulk played 13 years, and his rushing total of 12,279 place him 10th all time, below fellow nominees Curtis Martin and Jerome Bettis. But Faulk added another 6,875 receiving yards, which is the reason we put him ahead of those two nominees. In yards from scrimmage, Faulk is fourth all time, behind only Jerry Rice, Emmitt Smith, and Walter Payton. That elite company better reflects Faulk’s career. We believe Faulk deserves enshrinement right away, even if it comes at the expense of Martin and Bettis in 2011. 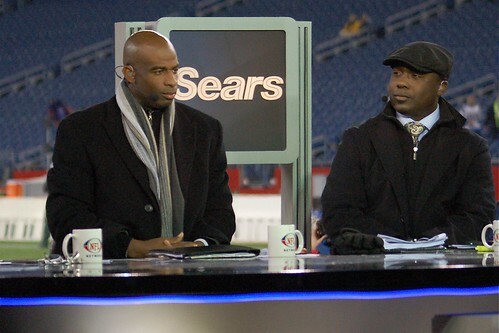 8 – Cris Carter – We don’t get it. For the last two years, we’ve endorsed Carter as a Hall of Famer. In our minds, he’s an easy choice over fellow finalists Andre Reed and Tim Brown at the position, as well as a narrow choice over receiving tight end Shannon Sharpe. But apparently that clump of receivers in the final 17 have kept Carter out. Instead, seniors candidate Bob Hayes and no-brainer Jerry Rice have been enshrined the last two years. Carter will still need to clear Brown and Reed, but that shouldn’t be a problem. Carter has 1,101 career catches to place third all-time. That’s seven more catches than Brown (despite playing one fewer season) and 150 more than Reed. And Carter was always on the list of the five best receivers in the league throughout the 1990s, as shown by his all-decade team accolades. At some point, voters will have to admit the next receiver, and Carter should be the guy. 7 – Ed Sabol – Sabol has been eligible for the Hall of Fame for many years, but he finally crossed into finalist territory this year. He’s become a cause celebre of Peter King and others for his role in creating NFL Films. For nearly 50 years, NFL Films has promoted and propagated the popularity of the NFL. Sabol started NFL Films and worked there until retiring in 1995. It’s hard to compare a contributor like Sabol to a class otherwise filled with players, but if ever a contributor deserved one of the seven Hall of Fame spots, it’s Sabol. Our hunch is that there’s enough momentum behind him that he’ll be inducted now that he has finally made it to finalist status. 7 (con’t) – Richard Dent – We’ve endorsed Dent for enshrinement the last two years, but he’s been passed over for Derrick Thomas in 2009 and John Randle last year. Dent was a dominant force for the classic Bears teams in the 1980s, and he won Super Bowl 20 MVP honors. He has 137.5 career sacks, which doesn’t live up to the total Chris Doleman posted but doesn’t reflect Dent’s dominance. Dent has been a finalist every year since 2005, and at some point he has to get over the hump. Given the defensive crop this year, it may be now or never for Dent. We believe it should be now. 7 (con’t) – Chris Hanburger – It’s never easy for us to evaluate the seniors candidates, but history indicates that most of them win election if they make it past the seniors committee. That bodes well for Hanburger, who started at linebacker for the Redskins for 14 years in the 1960s and 70s. With four All-Pro selections and nine Pro Bowl nods, Hanburger has the resume to merit election, and the fact that he started 135 straight games during the prime of his career is a good sign as well. He had a great career given the fact that he started out as an 18th-round draft pick, and it now appears that this career could well end up in the Hall of Fame. 6 – Shannon Sharpe – Tight end isn’t a prolific position in terms of producing Hall of Famers, and that plus the surplus of receivers have worked against Sharpe in his candidacy thus far. Like Dent, we have endorsed Sharpe the first two years of this post, and we’re doing so again. He merits inclusion, because he was the perfect West Coast offense tight end. He wasn’t an outstanding blocker, but he was effective, and he played a key role on three Super Bowl teams – two in Denver and one in Baltimore. But Sharpe is 250 catches (and counting) behind Tony Gonzalez, which isn’t helping his cause. But Sharpe’s high level of play for championship teams is something Gonzalez can’t rival. Sharpe deserves induction. 6 (con’t) – Les Richter – Richter, already a member of the College Football Hall of Fame, played his entire nine-year career for the Rams, who had acquired him in an 11-for-1 deal. He debuted two years after being drafted, after serving in the military, and made the Pro Bowl in each of his first eight seasons as a linebacker. He also served as a placekicker and even played some center for the Rams. No wonder he was first- or second-team All-Pro in each of his first six seasons. Now that Richter has made it past the seniors committee, the late Richter should find his way into the Hall of Fame. 5 – Curtis Martin – Martin was rarely a great, but he was very good for a long time for the Patriots and Jets. As a result, his accumulated totals put him in the pantheon of the all-time greats. But Martin made just five Pro Bowls in his 11 seasons, and he was an All-Pro just twice and led the league in rushing just once. That makes his candidacy wobbly, despite the fact that he’s currently the fourth all-time rusher in the league. Martin’s going to be an interesting case, because he (like Bettis and future nominee Edgerrin James and Fred Taylor) have monstrous numbers but rare moments of dominance. That, to us, means that Martin doesn’t pass the smell test, at least in his first season. Faulk must go in ahead of Martin, and while Martin leads Bettis, we don’t see room for more than one running back in this year’s class. Maybe Martin will sneak in in the future, but this shouldn’t be his year. 5 (con’t) – Dermontti Dawson – We moved Dawson down a level from last year, because while we would still vote for him, we don’t have a good feeling about his chances. Dawson played 13 years and was a six-time All-Pro, which clearly established him as the best center of the 1990s. He had a long career and was dominant at his position. For Dwight Stephenson a decade before him, that meant induction. But Dawson needs to get in soon, before other linemen like Walter Jones, Orlando Pace, and Jonathan Ogden start hitting the ballot. Otherwise Dawson’s wait will be prolonged. 4- Charles Haley – Haley’s an interesting case, because he was such a big factor for two dynastic teams – the 49ers and the Cowboys. As a result, he has an unprecedented five Super Bowl rings. That’s the cornerstone of his Hall of Fame candidacy. He also played well both as a 4-3 defensive end and a 3-4 outside linebacker, which is a credit to his ability. but his sack numbers – 100.5 – pale in comparison to Richard Dent and Chris Doleman, making it hard to justify choosing Haley over those players. It wouldn’t be a travesty to put Haley in the Hall of Fame, but there are more deserving guys in the group of finalists this year. 4 (con’t) – Cortez Kennedy – When Kennedy first showed up on the Hall of Fame radar, we wrote off his candidacy, but he seems to be a legitimate borderline candidate. He was a dominant defensive tackle for years, although the fact that he played in Seattle his entire career kept him under the radar to some degree. Still, he earned eight Pro Bowl berths and three All-Pro nods, made the 1990s All-Decade team, and won defensive player of the year honors in 1992. Kennedy’s position keeps him from having numbers to bolster his case, but he was a dominant force, and that may be enough to sneak him into a class as a compromise candidate. 4 (con’t) – Willie Roaf – Roaf played in a golden era of tackles, yet he still carved out a niche as an elite left tackle. He wasn’t quite the pass blocker that Walter Jones or Jonathan Ogden were, but like Orlando Pace he was a good pass blocker who also handled his business in the run game. The question is how many of those tackles will get into the Hall of Fame, because Roaf is probably third or fourth in that elite group. With six first-team and three second-team All-Pro nods, Roaf clearly belongs among those four, and the former Saint and Chief also made the all-decade team for both the 1990s and the 2000s. And coming up for election before the other three guys could help him, since the ballot isn’t as crowded at this point. We could see Roaf getting in, but our sense is that he should probably wait until at least Jones and Ogden of his contemporaries get in first. 3 – Tim Brown – Brown was a terrific player for many years, and the former Heisman Trophy winner is a member of the College Football Hall of Fame based on his Notre Dame career. But we believe he falls just short of the level required to be a Pro Football Hall of Famer. Brown has 1,094 career catches, placing him fourth all-time. He was also a dynamic return man for much of his career. But Brown never was the dominant receiver of his era – while he was a nine-time Pro Bowler and a 1990s All-Decade player, he wasn’t ever a first-team all-pro. So to us, Brown doesn’t feel like a Hall of Famer. We won’t start a riot if he gets in, but like Curtis Martin, Brown falls just below the standard to us. 2 – Jerome Bettis – Bettis is perhaps the trickiest of any of this year’s first-time nominees, because he had a strange career. Here’s the good of his candidacy: He is fifth all-time in rushing yards, thanks to eight 1,000-yard seasons with the Rams and Steelers. He’s also a unique player – the first big back to be a full-time runner instead of a short-yardage specialist. But Bettis made the transition to short-yardage specialist late in his career, and in his last eight years he averaged more than four yards a carry just once. He declined pretty quickly after age 30, and he also had two below-par years early in his career. So while Bettis had four great seasons and impressive career statistics, to us he is not a Hall of Fame back. He certainly falls below Marshall Faulk in the pecking order, and we’d prefer Curtis Martin as well. Bettis’ gregarious nature will help his chances, but ultimately he feels like a lost cause in terms of Canton. 2 (con’t) – Andre Reed – Reed was a great receiver for the Bills’ teams in the early 1990s, and his career total of 951 receptions for more than 13,000 yards is impressive. But he’s not a Hall of Famer. He was never an All-Pro – considered one of the top two receivers in the league in any given year. He was a second-team all-pro just twice. He did make seven Pro Bowls, and he was a key part of Buffalo’s AFC dynasty. But compared to other receivers like Cris Carter, Shannon Sharpe, and even Tim Brown, he doesn’t measure up. That’s why we’ve moved Reed down our comparison vs. last year. Reed belongs in the Hall of the Very Good, not the Hall of Fame. 1 – Chris Doleman – Doleman has been eligible for several years, but he moved into the realm of the finalists for the first time this year. And his chances are tied almost solely to his sack total. He had 150.5 career sacks, good for fifth all-time, and parlayed his ability to get to the quarterback into three first-team All-Pro selections and eight Pro Bowl berths. We’d prefer Richard Dent to Doleman, but strange things have happened in the pass-rushing category in recent years, so we can’t write Doleman off completely. Still, for our tastes he was too much of a one-dimensional player to merit inclusion in Canton. So who will make it in? We believe Sanders and Faulk are shoo-ins, and we also think Richter and Hanburger will get thumbs up. That leaves three spots. Sabol gets one of those spots, while the other two should go to Carter and Dent. We’ve been wrong on those last two for two years running, but we’ll assert once again that this should be their year. Most weeks, we focus on one game and share our thoughts on it, both from an on-field perspective and a fantasy football perspective. But this week, we’re going to present our thoughts on all three Thanksgiving Day games. After we feature the Saints’ 30-27 victory over the Cowboys, the Patriots’ 45-24 win over the Lions, and the Jets’ 26-10 victory over the Bengals, we’ll throw in some Fantasy Football perspective for dessert. *The premiere individual play of Thanksgiving Day was Malcom Jenkins’ forced fumble against Roy Williams late in the fourth quarter. Willams broke free in the secondary with the Cowboys’ leading by four, but Jenkins caught up and ripped the ball out to force a fumble that set up the Saints’ game-winning drive. While some outlets blasted Williams for a boneheaded play,Williams didn’t make a bad play; Jenkins made a great one. There’s an important difference. So it’s hard to blast Williams for the loss. *The Cowboys fell behind early 17-0 but rallied, which shows that Jason Garrett has added quite a bit of fight to a team that would have rolled over in that situation a month ago. Despite losing a fourth-quarter lead, that’s a good sign. *While the Cowboys showed some fight, they had a bunch of mistakes – seven fumbles (even though only two were lost) and an interception. It’ll be interesting to see if Garrett and the coaching staff can eliminate mistakes down the stretch. *The Saints won largely because they could make deep plays against the Cowboys’ struggling secondary. Devery Henderson’s 57-yard catch set up the first touchdown, and Robert Meachem’s 55-yard streak down the right sideline set up the game-winning score. Drew Brees threw beautiful passes in both situations, and without both plays, the Saints would have been sunk. *The Patriots’ offense doesn’t miss Randy Moss at all. Tom Brady threw four TD passes, two each to Wes Welker and Deion Branch, in a complete dissection of Detroit’s mediocre secondary. And the Patriots’ running game looked good with BenJarvus Green-Ellis and Danny Woodhead. Those two runners, though unheralded, bring more punch and explosiveness than veterans Fred Taylor and Kevin Faulk did at the beginning of the year. *I felt bad for former Wake Forest star Alphonso Smith, whom the Patriots absolutely abused throughout the game. Smith, a former second-rounder, has been a nice addition for the Lions since they dealt a former seventh-rounder (Dan Gronkowski) for him before the season, but this game showed that Smith is a nickelback, not a starting corner. *While the Patriots’ offense was strong, it was interesting to hear Brady talk after the game about how strong the Lions’ defensive line is. Rookie Ndamukong Suh was especially forceful, recording a sack and wreaking even more havoc. But it was Patriots CB Devin McCourty, not Suh, that was the best first-round rookie on the field. McCourty has developed into an asset for the Patriots’ defense. Now they just need to find a corner who can thrive across from him. *The Lions went for a touchdown on fourth down (much like the Cowboys did against the Saints). It was the kind of decision that a playoff team can’t make, but for a team trying to establish an identity, we like the move. Jim Schwartz doesn’t have the defense he hopes to one day, but we like the team and the culture he’s building in Detroit. 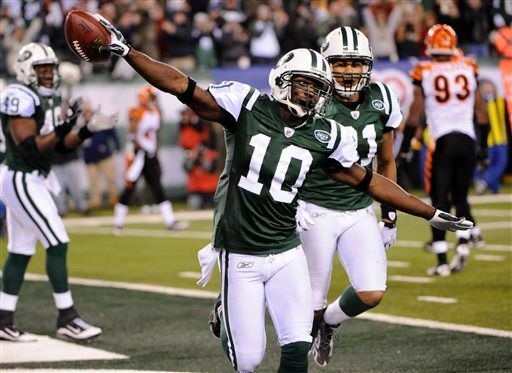 *Brad Smith isn’t on the top 10 list of Jets you would expect to single-handedly win a game for the team, but he did just that against the Bengals. His 53-yard run and 89-yard punt return were the two biggest plays of the game. Smith is a niche player, but the Jets know that he can help them from time to time if given enough chances. He certainly did Thursday night. *The Bengals’ offense just isn’t strong enough to hang with a solid team like the Jets. Carson Palmer threw for just 135 yards, and he threw two interceptions, including a key red-zone turnover in the second quarter. Given the targets Palmer has, he simply must do more to keep his team in games. *The Jets did a good job defenisvely in the game, although they didn’t make a ton of big impact plays. If the Jets continue to get efforts like that one, they will get enough offense from their running game and the Mark Sanchez to Santonio Holmes combo to be solid playoff contenders. *While there’s a lot to dislike about the Bengals, we’re bullish on the future of rookie WR Jordan Shipley, who had a TD in this game. Shipley is a Wes Welker type of player who should really make an impact for Cincy in future years. The other hat tip we have is for Bengals NT Domata Peko, who plays hard and makes an impact despite his low profile. *New Orleans RB Chris Ivory scored two touchdowns against the Cowboys, but he likely won’t be a fantasy factor as Reggie Bush starts to get reintegrated into the offense and Pierre Thomas returns. We hope you took advantage of Ivory’s role when he had it, because he won’t be much more than a short-yardage back (at best) going forward. 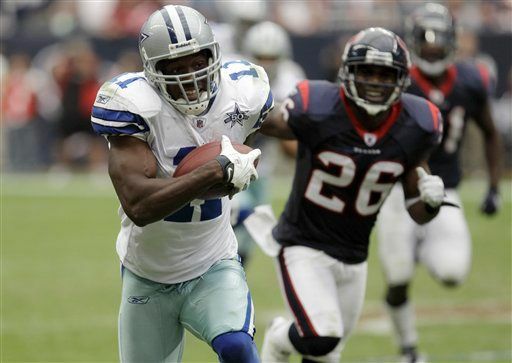 *Felix Jones had just 44 rushing yards for the Cowboys, but he also had seven catches for 69 yards. Since Jason Garrett took over, Jones has had at least 86 yards from scrimmage in each game. That makes him a fantasy flex play. However, the fact that the Cowboys continue to use Marion Barber and Tashard Choice over Jones on the goal line keeps Jones from being more of a factor. *Jahvid Best was active but did not play for the Lions, which opened the door for Maurice Morris to score two touchdowns. It’s hard to rely on Best at this point given his injury problems, but Morris is the definition of a journeyman back. Don’t get too excited about his performance. *With Matthew Stafford out, Shaun Hill remains a decent fantasy option. He threw for 285 yards and a touchdown in this game, and he’s good enough to take advantage of Detroit’s solid cadre of targets. *While Brad Smith scored twice against the Bengals, he’s not a consistent enough producer to be worth a fantasy football roster spot. Which fantasy football standouts from Week 3 do you need to trust, and which performances should you write off as unpredictable flukes? Each week we answer these questions by going through these performances and deciding whether to applaud or whether it’s a fraud. As always, with each verdict, we’ll give context for what it means. The Patriots made the first trade of the NFL regular season, shipping former first-round pick Laurence Maroney to the Denver Broncos. In the trade, New England swaps a sixth-round pick for a fourth-rounder in the 2011 draft. Below are some thoughts on the deal, both from an on-field perspective and a fantasy football perspective. Maroney, a former first-round pick, never lived up to the hype in New England. He had three 700-yard seasons out of four, but never had more than 835 yards. He also failed to grasp the passing game well, which kept him from getting playing time. And this season, Maroney fell behind a healthy Fred Taylor, as well as role players Sammy Morris and Kevin Faulk, which led to him being inactive in Week One. So he goes to Denver to be reunited with Josh McDaniels, who likes to collect running backs. Maroney won’t replace starter Knowshon Moreno, but he could usurp Correll Buckhalter as the backup. The Broncos don’t lose a draft pick but instead trade back from the fourth round to the sixth, giving up the equivalent of a late fourth-rounder. That’s a significant but not prohibitive price to pay for a guy who might just be a first-round bust. For fantasy owners, Maroney’s departure raises Fred Taylor’s value to the point where he’s worth owning in any league of 10 teams or more. Taylor (who ran for 71 yards in the opener) could develop into a flex option going forward. In Denver, Moreno’s value holds steady, but Maroney’s arrival kills any value that Buckhalter had. Wait and see how the Maroney/Buckhalter situation plays out before dedicating a roster spot to either. As more NFL teams turn to running back committees, it gets harder and harder for fantasy football owners to sort out crowded backfield situations. So in this post, we’re going to analyze some of these situations to see what fantasy insight we can glean. We’ll do this on a team-by-team basis. If we missed a team you want to discuss, leave a comment and we’ll add them in. As always, there’s much more fantasy football coverage in the category listing on the blog. And we once again referred to this great depth-chart site to help us along. Bills – Rookie C.J. Spiller is the enthralling pick among Buffalo’s stable of running backs because of his breakaway ability, and he makes an ideal No. 4 fantasy back because he can score at any moment. But our suspicion is that holdover Fred Jackson will be a bit more consistently valuable from a fantasy perspective and end up with more fantasy points. So Jackson creeps just above Spiller in the pecking order. Holdover Marshawn Lynch is in the doghouse and shouldn’t be drafted by fantasy owners. Broncos – It appeared entering training camp that Denver had a pretty clear-cut breakdown in its backfield, with Knowshon Moreno emerging as a fantasy starter and Correll Buckhalter fitting in as bye-week flex play who got a few opportunities. But both Moreno and Buckhalter suffered training-camp injuries that slowed their preparation, and the Broncos added LenDale White and Justin Fargas just to get through the preseason. We still believe in Moreno as a high-end No. 2 fantasy back, but we’ve dropped Buckhalter to a No. 4 back until we see how he heals and whether White and/or Fargas make the team. Browns – Some fantasy touts are pushing Jerome Harrison as a starting running back, but we don’t agree. Despite Harrison’s strong finish, we are much more comfortable slotting in Harrison as a low-end No. 3 fantasy back and borderline flex play instead of relying on him as a starter. Instead, we’d rather take a chance on rookie Montario Hardesty, who we see as a No. 3 fantasy back with upside. Second-year man James Davis has some talent but will trouble carving out a role and therefore is not draftable for fantasy owners. Buccaneers – The offensive situation around Cadillac Williams is a bit more favorable than it was last year, and Williams actually had a decent fantasy year last year with 1,040 yards from scrimmage and seven total touchdowns. If he can stay healthy, he’s a solid fantasy backup who could edge into flex position consideration. Derrick Ward, who signed as a free agent in Tampa Bay last year, had a disappointing season with only half the yardage Williams posted and three touchdowns. He’s worth drafting in larger leagues, just in case he emerges quickly, but he’s a No. 5 fantasy back and not much more. Cardinals – We’re big fans of Beanie Wells this year and expect him to break out as a top-15 back. As a result, we expect Tim Hightower to function more as a handcuff or a No. 4 back who’s an emergency fill-in instead of as a potential flex play, as he has been in the past. LaRod Stephens-Howling is a third-down back who won’t get enough chances to be fantasy relevant unless there’s an injury. Chiefs – Jamaal Charles broke out as a fantasy performer over the second half of last year, and he’s a hot prospect this year. But because of the crowded backfield around him, it’s hard for us to project Charles as a No. 1 fantasy back. He’s a great investment with upside on Tier 2. The crowd is largely because the Chiefs added vet Thomas Jones in the offseason after he had a great season for the Jets. However, because of his age and Charles’ presence, Jones is more of a No. 3 fantasy back than a starter who will complement Charles instead of compete with him. Note also that rookie Dexter McCluster could get running back eligibility and merit No. 5 fantasy back status. Colts – Joseph Addai had a solid season last year, holding off rookie Donald Brown to be a fantasy starter. Now Addai enters a contract year, and Brown is the heir apparent. Addai remains a fantasy starter, while Brown is a No. 5 fantasy back who can serve as a handcuff to Addai or as a speculative investment in the draft. 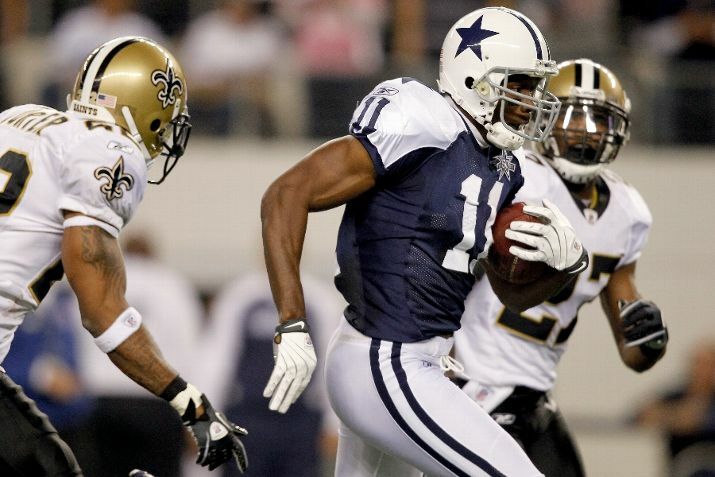 Cowboys – The buzz is around Felix Jones, but the hype doesn’t match reality. We prefer Marion Barber as a fantasy option to Jones (as we discussed in this post), and while we’re comfortable relying on Barber as a No. 2 fantasy back in larger leagues, we can’t say the same about Jones. Jones is an ideal flex play, not a starting running back. Tashard Choice is a talented back with limited opportunity who gains tons of value if either Barber and Jones get hurt. Choose Choice as a No. 5 back and stash him for a rainy day. Dolphins – Miami, along with Carolina, is one of the few places where the top two running backs both merit fantasy starter consideration. We prefer Ricky Williams, who was amazing down the stretch last year, to Ronnie Brown, but we expect both guys to surpass 1,200 total yards if they stay healthy. Both are solid fantasy starters. Eagles – Even with longtime stalwart Brian Westbrook gone, the Eagles once again have a crowded backfield situation. Second-year man LeSean McCoy figures to get the most touches, although we see him as much more of a No. 2 fantasy back than a guy with the upside to pace a fantasy roster. Free-agent addition Mike Bell could get some goal-line touches, because that isn’t McCoy’s forte, and fullback Leonard Weaver will get some shots as well. Both Bell and Weaver are No. 5 fantasy backs with a bit of upside in case McCoy struggles. Jets – Shonn Greene’s performance in the postseason convinced the Jets he was ready to be a bellcow back, and we believe he’ll deliver fantasy starter numbers now that Thomas Jones is in Kansas City. With Leon Washington gone, some people expect LaDainian Tomlinson to emerge as a potential flex fantasy play, but we don’t. Tomlinson’s skills have fallen off the precipice, and we wouldn’t draft him as more than a No. 5 back. We’re far more inclined to bet on rookie Joe McKnight as the complement to Greene as a receiver and runner in the old Leon Washington-style role. Panthers – As in Miami, Carolina features two running backs who deserve to start for fantasy teams. DeAngelo Williams is a Tier-1 back who will deliver fantasy starter numbers and who could carry a fantasy team to a title, while Jonathan Stewart is a dependable No. 2 fantasy back. Other options, like Mike Goodson and Tyrell Sutton, gain fantasy value only if Williams or Stewart is hurt. Patriots – Few backfield situations are as inscrutable as New England’s, because so many guys have defined roles. But that makes it hard to mine much fantasy value from the situation. Laurence Maroney, although he’s been disappointing, is still the best prospect. He only had 856 total yards last year, but he scored nine touchdowns, including a stretch in which he had at least one touchdown six games in a row. He’s a No. 3 fantasy back who could emerge as a starter but probably won’t. Venerable veteran Fred Taylor played only six games last year, although he finished strong once he got healthy. If he stays healthy he could actually surpass Maroney in the pecking order. Right now, we have Taylor as a No. 4 fantasy back. Sammy Morris will steal some carries, but not enough to be fantasy relevant, and Kevin Faulk’s third-down back role won’t make him a fantasy option either. Raiders – Justin Fargas is gone, but the Raiders still have a crowded backfield. Michael Bush and Darren McFadden both could lay claim to being No. 1 running backs, although the most likely scenario is that they split time. Bush averaged 4.8 yards per carry last season, which is a fine number, but he must prove he can handle more than 140 touches in a season. McFadden averaged only 3.4 yards per carry and missed four games, but his pedigree as a top-5 overall pick speaks to his talent. He’s also a much better receiver than Bush, which will help him get more touches. Right now, we have both Bush and McFadden as borderline No. 3 fantasy backs with upside, and if one emerges in the preseason, he could jump up to the top 25 at the position. And it’s not a bad strategy to draft both Bush and McFadden in the middle rounds in hopes that one separates himself. Redskins – The Redskins have the most geriatric RB corps in the league, and that’s not a good sign. But the situation around those runners is good now that Donovan McNabb and two new offensive tackles (Jammal Brown and Trent Williams) are in town. Clinton Portis thrived with Mike Shanahan in Denver, but he struggled in a big way last season and looks like a No. 3 fantasy back on performance right now. Larry Johnson bombed out in Kansas City last year, but he rebounded a bit in Cincinnati and looks like he could be a No. 4 fantasy back in larger leagues. There’s at least the potential that Johnson could usurp Portis, which adds fantasy upside. Willie Parker (aka old dog No. 3) is more likely to get released than to make a fantasy impact. Saints – The Saints had a three-headed monster at running back last year, but it looks like a two-man show this season. Pierre Thomas is a solid No. 2 fantasy back, especially now that Lynell Hamilton is out for the season. Thomas should get more touches this season if he can stay healthy. Reggie Bush has carved out a feature role that makes him a nice flex option for fantasy owners. He can score in so many different ways that he’s capable of producing for fantasy owners, but it won’t happen consistently, which is why Bush is a No. 3 fantasy back and not a starter. Seahawks – The Seahawks have a convoluted situation, but it appears that Justin Forsett will be the best fantasy option among their backs. It’s risky to count on Forsett as a No. 2 fantasy back, but if you can get him as a flex option, you’ll have a great situation. Leon Washington should carve out enough of a role to be a No. 4 fantasy back, and Julius Jones is still around. But Jones averaged just 3.7 yards per carry and will primarily keep Forsett and Washington from getting pummeled too often. That’s not a fantasy-friendly role. Texans – Few coaches have been as frustrating to fantasy owners as Gary Kubiak, because he’s willing to give any running back a shot at any time. That means that Arian Foster, rookie Ben Tate, and former 1,000-yard rusher Steve Slaton all have upside, but they also have limited roles. Our suspicion is that Foster, who appears to be in line for the first shot at starting, will be the most valuable of the trio, and that’s why we slot him as a No. 3 fantasy back with a lot of upside. Tate is a borderline No. 3 fantasy back, while Slaton, who appears headed for a third-down role (at least for now) is a No. 5 back at best.